I have always, always HATED onions. Back in my fast food days, the quickest way to experience rage was to find a rogue diced onion in my bean burrito from Taco Bell. (I CLEARLY said “NO SAUCE, NOOO ONNIOONNSSSS”!) I don’t care if it was just ONE little offending onion…the burrito was deemed inedible and tossed. Ugh. It’s not the flavor, mind you. It’s the texture. I just can’t stand that cold little crunchy burst of onion-ness. I can’t do it. The solution? I puree the heck out of them. My food processor has pureed more onions than anything else in my kitchen. Jarred spaghetti sauces get a spin. 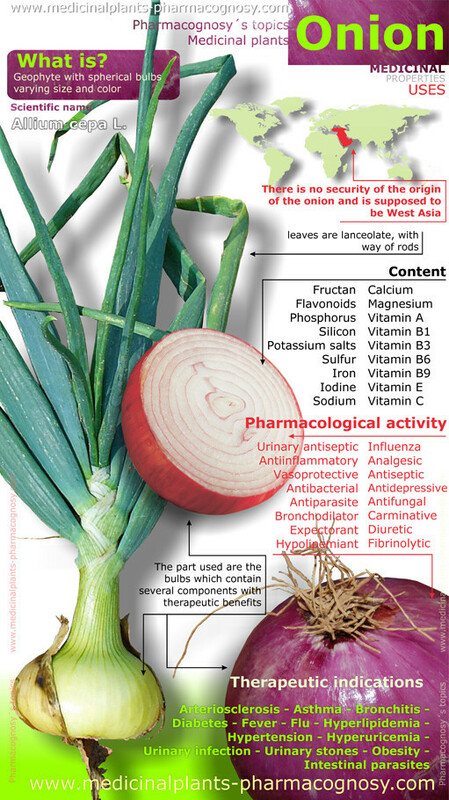 Whole onions are pulverized before they are sauteed. Salsa’s are obliterated. I just don’t mess around with the crunch of an onion. Click the image for full size viewing. They really are so, so good for you! I received like five onions in my CSA box this week. I was down to a single onion, so I believe I ordered two units of onions to stock up for a bit. I’m not a sliced-onion-on-a-burger kind of girl. I’m not the type to put raw onion in ANYTHING, really, so five onions used for cooking (or maybe salsa if its pureed into submission) will last me at least a week or two. This is a mexican soup containing chicken breast, garlic, tomato sauce, jalapeno, and yes, ONION. Paste of course. It also traditionally has corn in it, but we are “off” corn so I will be skipping it. Feel free to add it to yours. Not only will it give me a chance to use up a ton of CSA ingredients, but its a very therapeutic soup for a girl who just spent the last week recovering from a “dry sinus infection”. One which may have infected my eye socket. Not fun to have vision disturbances when you’re trying to blog, btw. Back to the soup. It’s a very easy process. I am using leftover cooked chicken breasts which have been crock-potted for multiple uses, (such as chicken salad sandwiches.) If you are using raw chicken, dice it in 1 inch or smaller pieces, and brown in a bit of butter. Set aside. 1 onion, diced, sliced, or if you’re me, pasted. salt, pepper, cumin, garlic powder and any other herbs you like in your soup. Common choices for a soup such as this may include mexican oregano and/or fresh cilantro. First things first-I am going to puree the onion and garlic together. You can dice it, slice it…whatever you like. We already know my stance. Sautee the onion and garlic in the refined (meaning, not coconutty) coconut oil. Add the stock or water and chicken. Season with “real salt” (Or whatever salt you like), pepper, 1/2 tsp cumin and a dash of garlic powder. Toss in the sliced jalapenos. If you are sensitive to spice, only use one pepper. Simmer for about an hour on low. 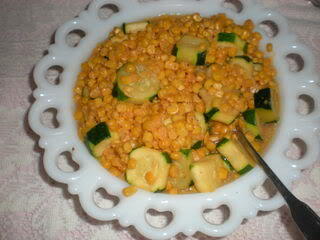 Now, add your squash and about a cup of organic corn if you are using it. Top your soup with mexican oregano or fresh cilantro for an awesome burst of flavor. Bursts of flavor are great, as long as they are not cold little crunchy bursts that you clearly ordered your food without. I’m such a texture girl. I also hate watermelon…same reasoning.